Everyone knows that being a parent has it's good days and it's...challenging days. 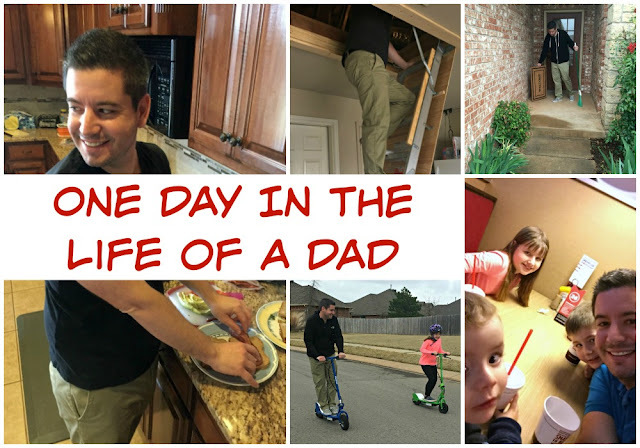 For a parent there are no typical days and there sure aren't any typical dads! Every day of the week contains ample amounts of craziness, crying, laughter, hugs, stepping on toys, cleaning up applesauce, tantrums, and kisses goodnight. Since you never know what the day holds, a dad needs to be prepared, flexible, and use his time efficiently. He needs to be able to cook breakfast, be at the office, play with the kids, get chores done, and go on a date with is spouse without changing clothes three times. Here is what one Saturday might look like for me as a father. Can you relate? 5:30 am: 5-year-old son wakes up, comes into bedroom. 5:31 am: 5-year-old son sent back to his own bed. 6:03 am: 2-year-old wakes up yelling. Wait to see if he goes back to sleep. Wife and I rock-paper-scissors to see who will get him. There are no winners in this game. 6:10 am: Both sons are awake and want to watch T.V. Not enough coffee or willpower in me to coherently object. Kids 1, Dad 0. 7:02 am: Shower and get dressed. With clothes I usually have to decide between comfort/looks/tactical parenting ability. I go with a t-shirt and my new Lee X-Treme Comfort Khakis to see if they hold up to the promise of embodying all three qualities. You can see them (and me) in the video below! 7:30 am: All three kids awake. I make breakfast. Kids decide to eat 22.6% of what is on their plate. Wife looks my outfit up and down with a flirty smile. I consider it a win in both situations. 8:00 am: Clean the kitchen while my wife gets kids kids ready for the day. How have I only been awake for two hours? 8:47 am: Time for some family chores. Pick up house, sweep front porch, and put storage items up in the attic. 10:42: am: Go to clean garage. See scooters in corner. 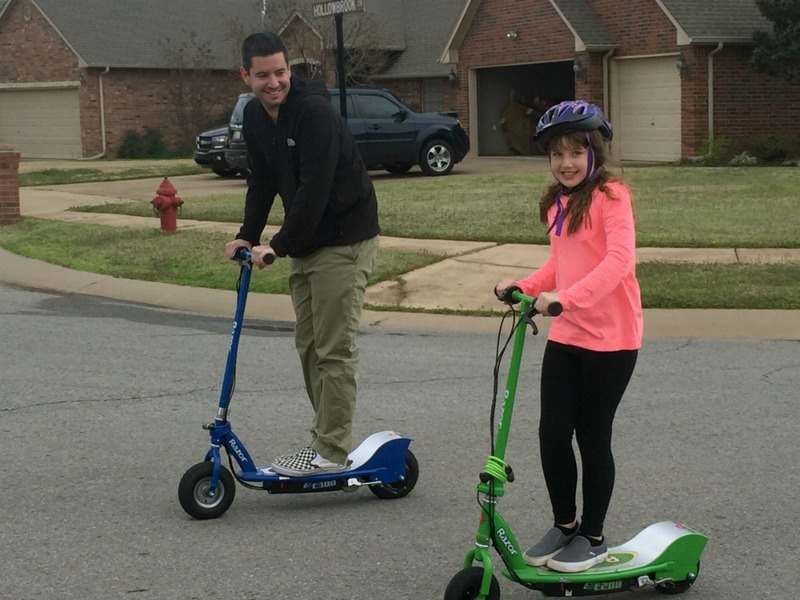 10:43 am: Get kids outside to ride scooters. Have tons of fun taking a break and beating my daughter in a scooter race. I take wins wherever I can get them, even if they are over 9-year-old girls. 11:37 am: Put scooters away. Think about how versatile these Lee khakis are. I went from breakfast, to cleaning, to scooters, and was completely comfortable. 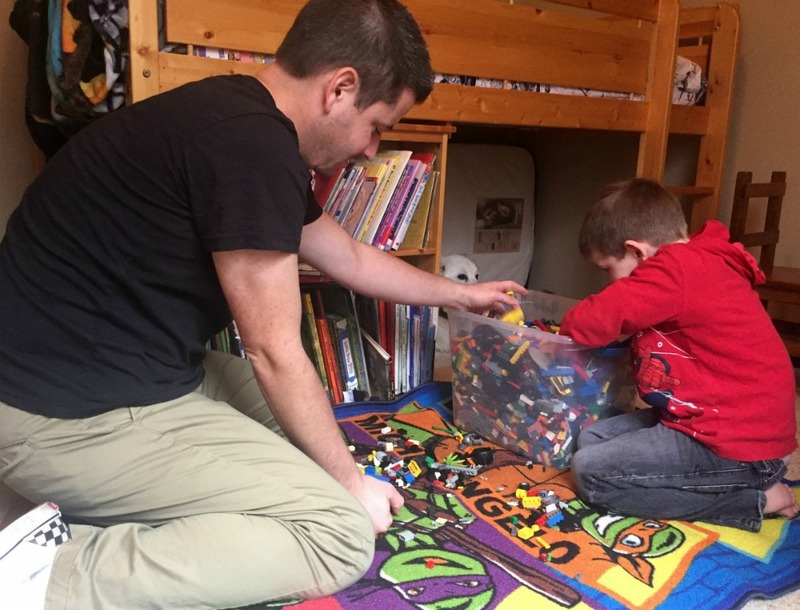 11:52 am: Help son pickup Legos. I hold a vested interest in this task since the health of my feet depend on it being done well. 12:35 pm: Make sandwiches for lunch. Kids eat 37.1%. The metrics say my meals are improving. You can't argue with facts. 1:55 pm: Walk to playground with kids. Go down enclosed slide. Remember I'm almost too big to go down enclosed slides. 3:36 pm: Wife decides living room needs to be rearranged. I think about changing clothes, but why would I when my pants are so comfortable? 4:55 pm: Get call from work. I need to attend impromptu meeting later tonight. 5:15 pm: Throw on a nicer shirt, keep Lee khakis on, change shoes, and I'm ready for the meeting. First, I take my kids out to dinner while my wife spends quality time with her friends. 6:32 pm: Finish dinner. Just a dad and his three kids. It's not babysitting, it's called being a father. 7:39 pm: Head to work meeting, and it's a success. 9:52 pm: Arrive home and get ready for bed. So tired I wish I could sleep in my new Lee khakis. I said before that a dad needs to be efficient. One way to do that is to wear clothes that your comfortable in because when you are comfortable, you are confident. 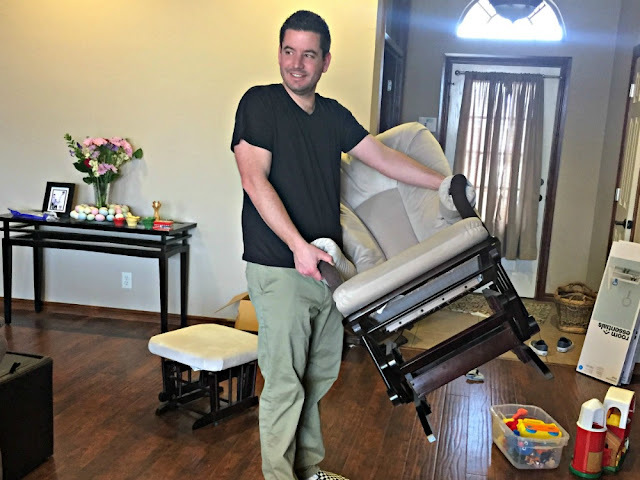 It doesn't matter whether I am pushing the stroller, cooking in the kitchen, or at the office, my Lee X-Treme Comfort Khakis let me be able to focus on whatever is in front of me. 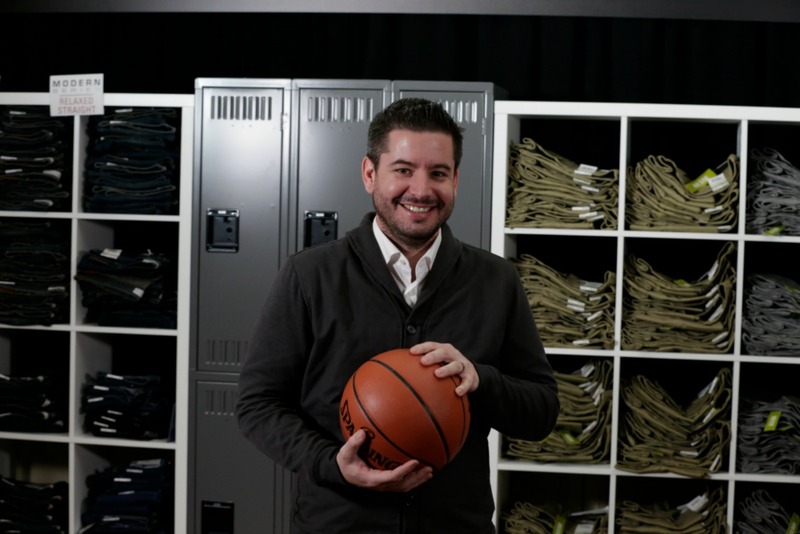 I love that they have a flex waistband and Active Comfort Fabric so I can look great at an important meeting and then come home and play basketball with my kids. If you haven't tried Lee X-Treme Comfort Khakis, you don't know what you are missing!